Hi ken, I hope all is well. I was sky watching when I spotted a mystery object that was hanging in the sky. I managed to take one photograph of this object before it moved off into the distance at incredible speed. 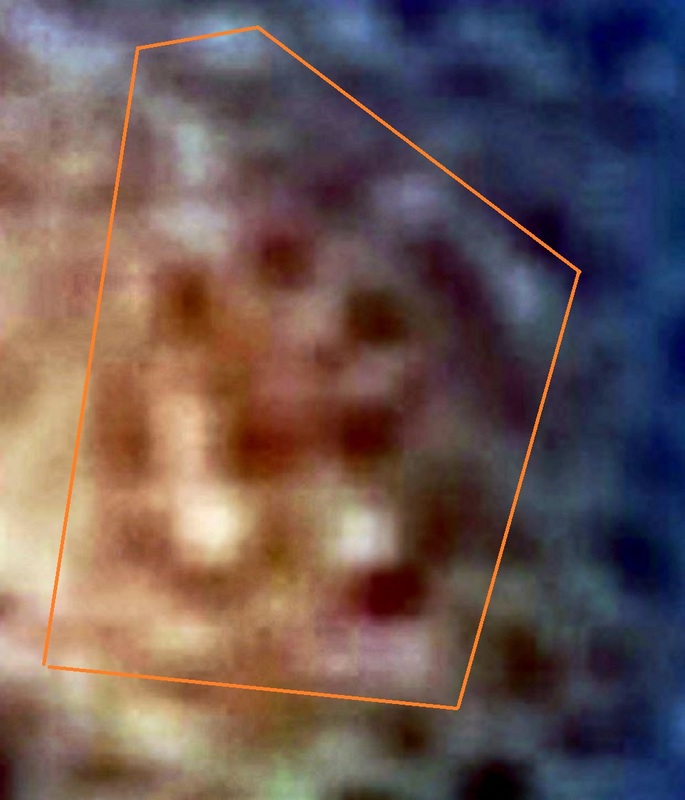 When I later looked at the photograph I could see what appears to be a small alien being that appears to be sticking it’s head and body out of the side of the UFO. This is very strange as there are no visible signs of a door or window on the UFO. 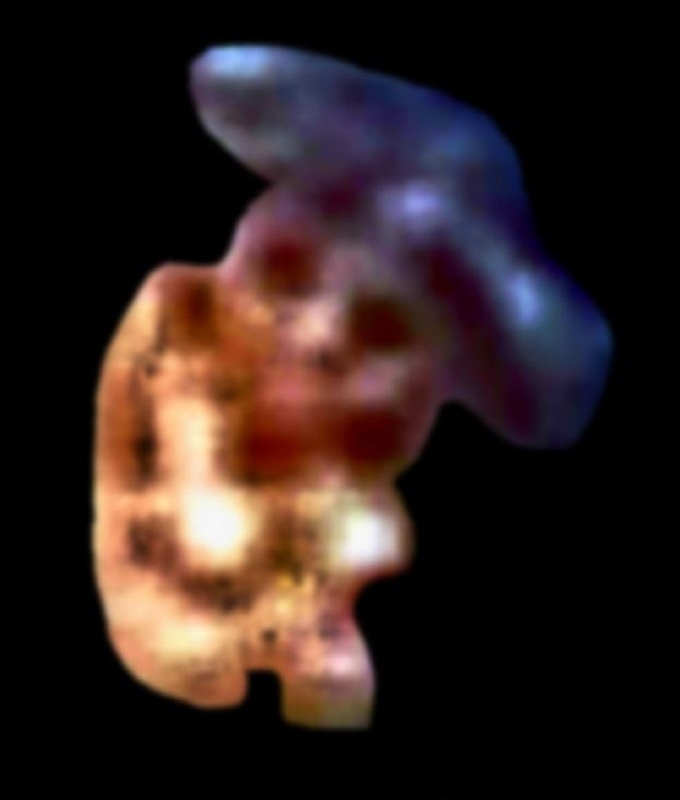 what’s even more strange is the alien being appears to be wearing a hat. WTF. I have taken some really strange photographs and have had many strange experiences in my lifetime. You Just couldn’t make this up it’s truly bizarre. The photograph was taken on the 28th of may ‎2016 at 12:19 PM GMT at Newton Abbot Devon UK. Newton Abbot seems to be a hot bed for strange activity. I have seen a similar alien before three years ago in fact. One morning I was on my way to work and had a strange encounter. It was 4.30 am in the morning and it was pitch black. All the street lights were out because the council were trying to save money by switching them all off at night. Because there were no street lights, I carried a small LED torch so I could see were I was walking. It was a cold morning and I had just walked past the local church and cemetery when I heard a loud crash that seemed to come from further down the road. I continued walking in that direction and heard another loud crashing sound. I turned my LED torch in the direction of the crashing sound. I could see all the dustbins were knocked over and there was a midget in a parka coat standing there looking towards the bins. The bins had been emptied the day before so there was no rubbish. The midget noticed my presence and turned towards me. I could see that the midget’s parka coat hood was pulled really tight around his head and face. I could barely see his face. He looked strange… There was something not quite right about him. We stood there face to face for a second before I plucked up the courage to say something. I said morning. There was no response from the midget. With that the midget turned back around to where he had originally been facing. The midget then started to stand the bins up one by one until the bins were in a row. The midget then started laughing in a very strange squeaky voice and then ran at the bins with all his might knocking the bins flying in different directions. I looked on bemused as the midget started to stand the bins again. The midget then ran at the bins once again. I then shouted what the F**K are you doing! With that there was an intense bright white light that lit up the housing estate like it was a summer’s day. The light was so bright it hurt my eyes. After what seemed like a couple of seconds the light went out. It was pitch black again and I shone my LED torch over the area where the midget had been standing but the midget was no longer there. All the bins were stood up neatly in a line and there was no sign of any disturbance. I looked at my watch and I had lost about 15 minutes. I felt very sick and my eyes were extremely sore. I was late for work and I was feeling sick and dizzy so I returned home dazed and confused . I did not go into work that day. I was really ill. I have been puzzled by this bizarre experience for three years now and seeing that alien in the photograph brought back memories of this encounter. The hat wearing alien looks very similar to that midget in a parka coat. Did I really see this or is this a False memory?. I could not account for the 15 minutes I lost. Was this a case of alien abduction or a strange alien encounter? What do you think ken? Have you ever heard of anything quite like this before. NOTE: Special thanks to World UFO Photos researcher John Mooner. John has submitted many UFO alien craft photos for publication and he definitely lives in a hot spot for alien craft. This entry was posted in ABDUCTION, best ufo photos, incredible ufo photos, MISSING TIME, top ufo news, UFO, UFO ARTICLES, ufo news, ufo photos and tagged 1967 UFO DISC UTAH, 2016 NEW ABBOT DEVON ENGLAND UFO PHOTO, 2016 UFO PHOTO, 5-28-16 ALIEN CRAFT PHOTO, 5-28-16 UNITED KINGDON UFO PHOTO, 7-21-67 SALT LAKE CITY UFO DISC, ABDUCTION, ALIEN CRAFT, ALIEN CRAFT PHOTO, animal abduction, army ufo, AUGUST 10, best ufo images, best ufo photos, best ufo pictures, best web site world ufo photos, biggest ufo web site, boomerang craft, chief investigator, CIGAR, civilian panic, CLASSIC FLYING SAUCER ENCOUNTER IN UTAH JULY 21, commercial pilot ufo, COSMOMAUTS ALIEN ENCOUNTER, crashed disc, CYLINDER, cylindrical craft, diamond ufo, DISC, disclosure, discoveries on mars, discoveries on moon, FLYING SAUCER, government black ops, I.S.S. UFO, incredible ufo photos, international space station and ufo alien craft, JULY 21, KEN PFEIFER, ken Pfeifer discoveries, Ken Pfeifer State Director for MUFON in Rhode Island, Ken Pfeifer State Director for MUFON in Vermont, largest ufo photo website, largest ufo web site, largest ufo web site in the world, LIGHT, LIGHTS, marine ufo, MARS, mars discoveries, mars photos, MAY 28, MEN IN BLACK, MISSING TIME, MOON, moon discoveries, moon photos, MUFON, national press club ufo, navy ufo, no disclosure, ORB, ORBS, pfeifer, PIEDMONT MISSOURI ALIEN ABDUCTION, pyramid ufo, radio ken Pfeifer, rectangle ufo, RUSSIAN UFO, SALT LAKE CITY UTAH DISC UFO, Saturn discoveries, saucer, secret society, SPACE ENCOUNTER, State Director Ken Pfeifer for MUFON in New Jersey, STRANGE, sun photos, swamp gas, top ufo news, TRIANGLE, ufo, UFO ARTICLES, ufo crash, ufo news, ufo photos | Tagged 1967 .................. SALT LAKE CITY UTAH My self, ufo photos | Tagged air force ufo, unidentified submerged object, unidentified submerged objects, uso, UTAH UFO, world largest ufo web site, world ufo photos and news, world ufo photos is the largest UFO photo website in the world by KEN PFEIFER. Bookmark the permalink.